Many California residents might not realize that every time they fill up their car’s gas tank for $2 per gallon, they’re paying for more than just the fuel itself. A portion of every sale goes into a fund that has become known as the gas tax – that money goes to pay for building and maintaining roads throughout the state. For decades, this system worked beautifully. Most cars got similar (read: poor) gas mileage, meaning that people had to fill their tanks often, and there was always a steady stream of money going into this fund. In recent years, however, things have changed. Cars not only offer better fuel efficiency, but things like electric cars are also very popular across California in particular. This has led to a gas tax deficit, throwing the entire system into jeopardy. Because higher levels of fuel economy and electric or even hybrid vehicles aren’t going away anytime soon, officials have had to search for more unique solutions to this problem. According to one report from Capital Public Radio, they may have found it – the state government wants to start using GPS devices to charge people a gas tax based on the number of miles they drive, not the amount of gas they put in their tanks. To make matters worse, the tax itself hasn’t been adjusted in more than two decades. Not only is there less money for the state to draw from, but what IS going into the account isn’t adjusted for inflation – causing the deficit to balloon even further. When you also consider that the cost of gas has dropped sharply over the last few years, you have something of a perfect storm of poor quality roads across the state and a startling lack of funds from which to fix them. Since early 2016, 5,000 drivers across California have been participating in a pilot program designed to solve this very issue. 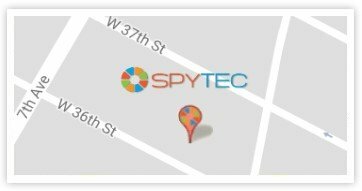 GPS tracking has been one of the most accurate throughout this time, but also one of the most controversial. California’s solution is to have drivers install a small GPS device into their vehicle’s onboard computer system. In addition to constantly sending location-based information about those drivers to state authorities, the GPS also offers alerts about issues like low batteries and even provides warnings when drivers engage in certain inefficient fuel practices like hard braking or idling. While reports indicate that many drivers appreciate these value-added features, the privacy implications of the tracking aspect are still a major cause for alarm – just not necessarily in the way you might think. Detractors of the program say that their issue isn’t necessarily the fact that the state can see where they are or where they’re going at all times – although this is certainly a cause for concern. More pressing, however, is the fact that protecting all of that sensitive information will likely be much more difficult (and expensive) than the state may be anticipating. In the end, this discussion comes down to the constant “give-and-take” relationship between privacy and convenience. How much of our privacy are we willing to give up for a benefit like higher quality and better maintained roads? Should this be an “either/or” proposition in the first place, or should officials be looking for alternative options that are just as effective but less intrusive? To their credit, California authorities have been researching other techniques –from mandatory manual odometer readings to computer systems that track miles without location. Thanks to the accuracy and efficiency of modern day GPS, however, nothing has even come close to generating the results that all parties are looking for. As of April 2017, no official decision has been made regarding whether the program will roll out across the state. The California Department of Transportation is expected to take the data it has been collecting for over a year and present it to lawmakers later this summer for further examination and discussion.